So the Royal is officially here, and on top of all the great competitions and exhibitions you can view, there is a ton of great shopping to be had! The best brands and equine businesses, all in one convenient location. Here’s our guide to some of the booths that we think definitely deserve a visit, and your business! (aka. our guide to breaking your budget – because, consider yourself warned, all these shops are awesome in our opinion, and hard to leave without buying something). Located in Zone 3, the My Barn Child Royal shop is guaranteed to have everything you need to fully accessorize your wardrobe and get your shiney on. They will have a range of sparkly accessories for all your bling needs, as well as some great products from other awesome equestrian brands like Spiced Equestrian and Studio on Whitney. MBC will also be launching a new line of apparel products at the Royal which are surely not to be missed. Conveniently located right beside the My Barn Child booth – Ogilvy Equestrian has all your saddle pad needs (and more!). From their classic and baby pads to their memory foam half pads, they have a range of products (in a range of styles and colours for each discipline) to match all your #ROOTD needs. Pick a pad to match your MBC and really colour co-ordinate your riding wardrobe, and make your horse super fashion forward. This is the tack shop that will no doubt have everything needed to spice up your riding (and everyday) wardrobe. From apparel to boots to accessories, the Tack Shoppe has all you could ever want to keep all your #OOTD and #ROOTD needs fun and fashionable. We were thoroughly impressed on our visit to their actual shop in Collingwood earlier this year, and have no doubt their Royal booth will be just as fabulous. As an added bonus, they’ve got the Royal Fair exclusive on new fall shirts from Phyllis Stein Equestrian. Drool worthy breeches (that are 100% Canadian made) – need we say more? Colour, comfort, and style all rolled into a set of breeches that are made for the equestrian sport. Breeches that fit, and keep you comfortable – and therefore performing at your best – whether you’re in the spotlight in the show ring, or just tuning up your skills in the schooling yard. Once you #getStruck … there’s no going back. Riding attire with a fashion edge. Consider those bland old white show shirts a thing of the past – cause Cheval fashions has a shirt that could meet your every fashion and #ROOTD need. Coming in a range of colours, patterns, and styles your bound to find one (or more) that you’ll love. These also double as great everyday dress shirts for work. This booth has been a long time favourite of ours at the fair, and a great place to purchase a range of equestrian goodies from apparel to gifts (there’s a reason their tagline is for all your equestrian needs – they’ve got everything). They carry a great range of Joules products, for those that are a fan, and always have some wonderful gift ideas. Their booth is massive, so its hard to miss! Fashion forward show wear that is machine washable and customizable with coloured piping and bits of bling. From show shirts to shadbellies, Hayward has got you covered with rider clothing that looks great in the saddle and out. Custom and ready made fly bonnets, in every colour imaginable – what’s not to love? 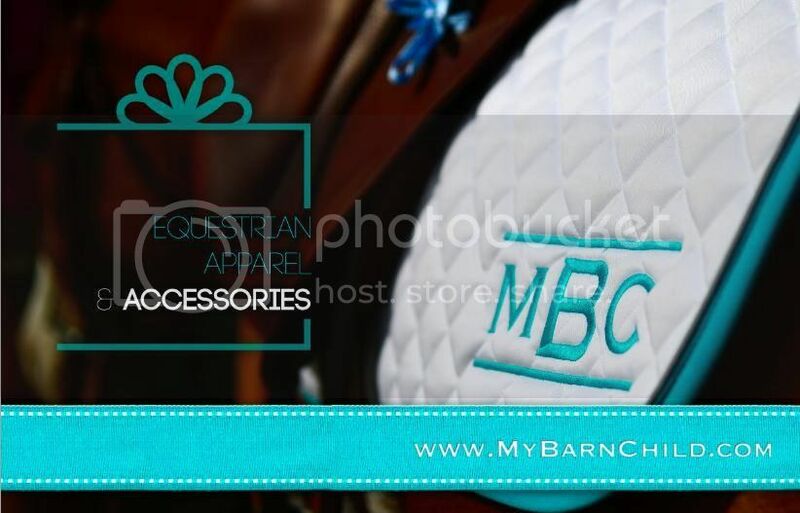 If your looking for a matching look, for a truly fashion forward equine #OOTD, pick one that matches your saddle pad and other accessories (like MBC charms!). Plus they have a great line of hats, beanies, toques, and hoodies with the classy DLC logo, which are sure to keep you warm this winter. So they may be a bit on the expensive side, but Dubarry is a staple booth at the Royal, and a staple of equestrian fashion. Their country boots are built to last, and are a sure way to stay warm, dry, and comfortable when working around the barn. As an added bonus, they are totally classy enough to transfer into your day to day #OOTD as well. They are boots you can seriously rely on. Plus their booth just looks really cool (think English countryside / hunt club style). Since they are the store that initially launched our love affair with MBC (eds. note – I bought my first charm from their booth at the Royal three years ago! ), its only fair they get a mention on our list. Like many of the tack shops that will have booths at the Royal, they carry a range of your favorite equestrian brands to satisfy all your shopping needs. They are definitely a must check out, you’re sure to find something you’ll love.